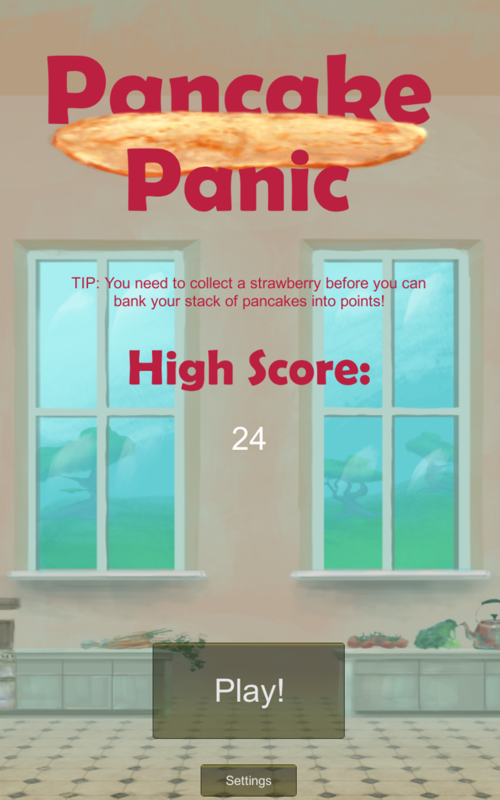 Pancake Panic 1.5 for Android rolling out today! 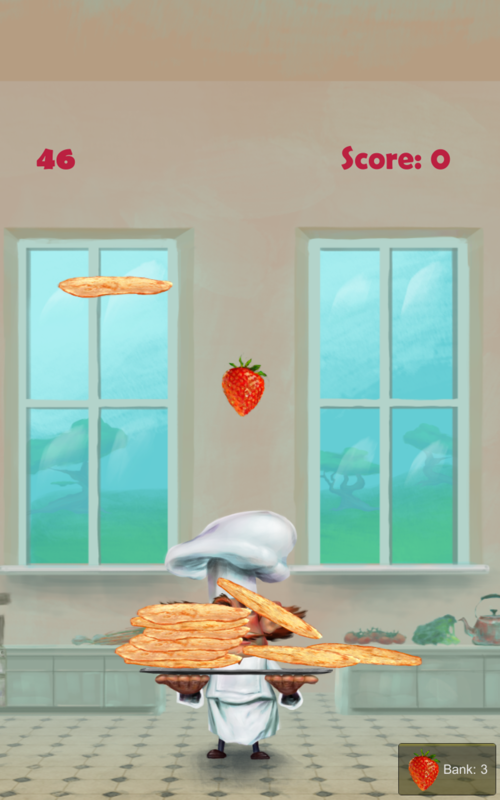 Pancake Panic has been updated – version 1.5 is now live on the Google Play Store for Android. 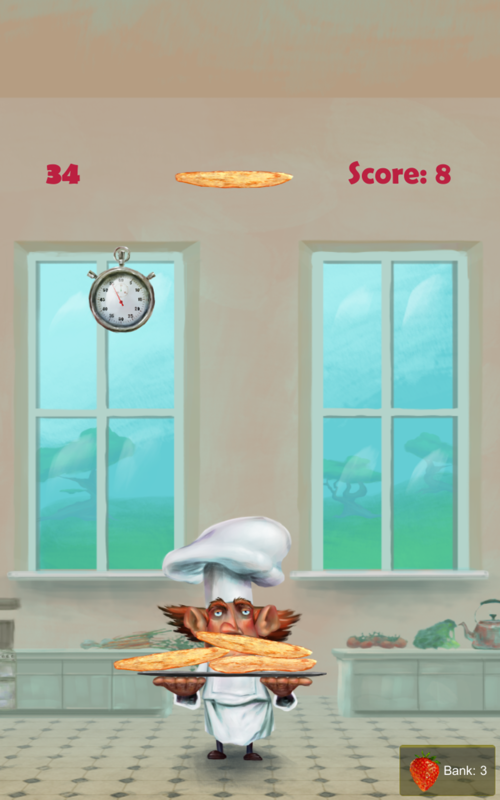 Pancake Panic is a fast, fun, and addictive action game. The goal is to stack as many pancakes as you can before the time runs out. Catch power-ups for time bonuses, and to allow you to bank your score. You need to catch strawberries which allow you to bank the stack you have collected, and catching falling stopwatches give you time bonuses. Please download the game today, and share with your friends. We’re excited to bring the game to Windows Phone in the next week, and iOS soon after. Version 1.5 brings a ton of improvements. There’s a bunch of UI improvements, with a prettier interface and visual clues as to how the power-ups work, alongside some changes to our power-up mechanics offering varying time bonuses, and an initial bank bonus when each game starts. There’s also variations to the physics of the power-ups and the pancakes, making the game even more unpredictable than before.